April 24, 2019, 3–5 p.m.
April 25, 2019, 5–6:30 p.m.
Tuesday, April 30, 2019 @ 11 a.m. Finally – why your shoelaces keep coming untied, and why that matters for understanding failure in knotted structures. How much energy can automated vehicles save? Berkeley Mechanical Engineering is one of the top ranked public mechanical engineering programs in the nation and is consistently ranked as one of the top mechanical engineering departments in the world. Our teaching and research laboratories are among the most active, innovative and productive worldwide. Our faculty and students come from highly diverse backgrounds and represent the best and brightest from all over the world. 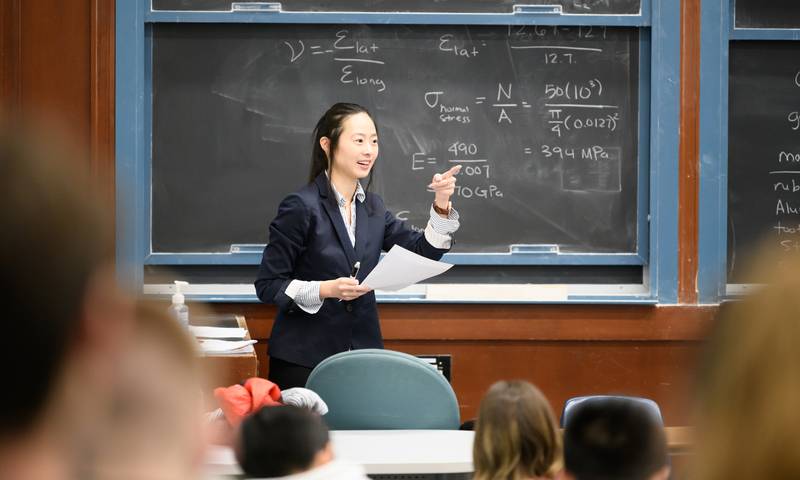 The Department of Mechanical Engineering would like to introduce you to one of our newest faculty members: Assistant Professor Grace X. Gu. Professor Gu joined us here in Etcheverry Hall in the Fall of 2018. Below, Professor Gu shares how she became interested in the field of mechanical engineering, her hobbies outside the office, and what she looks forward to most here at Berkeley. The Department of Mechanical Engineering would like to introduce you to one of our newest faculty members: Assistant Professor Kosa Goucher-Lambert. Professor Goucher-Lambert joined us here in Etcheverry Hall in the Spring of 2019. Below, Professor Goucher-Lambert shares how he became interested in the field of mechanical engineering, his hobbies outside the office, and what he looks forward to most here at Berkeley. 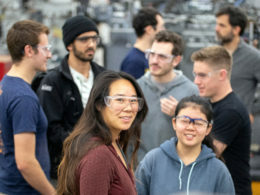 The Department of Mechanical Engineering at the University of California, Berkeley is generating an applicant pool of qualified temporary instructors to teach regular and Summer Session courses, should an opening arise. The department is also seeking applicants for Teacher Special Programs (TSP), should an opening arise. The pool will remain open until March 19, 2020. Click for more information on how to apply! The Mechanical Engineering Student Access Machine Shop is available for students who will be working on projects and research related to our academic mission.